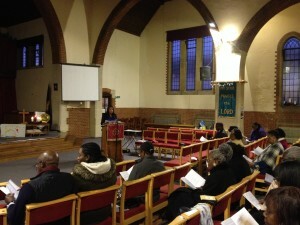 Friends and supporters gathered once more at the Norbury Baptist Church for the annual carol service on December 11. Despite the absence of the host Pastor, David Coram, and the guest singer, Jojo Philips, due to illness, we opened the Christmas season with joyful and lusty renditions of many old favourite carols under the musical leadership of Derek Vincent on the piano. Once again we were grateful for the numerous individuals who agreed to be readers, patrons and collect the offertory. Several others kindly stepped in at the last moment for those delayed by illness or traffic; namely—Princess George, Beverley Bowen, and Christiana Hyde. Revd William George ably conducted the service once again. 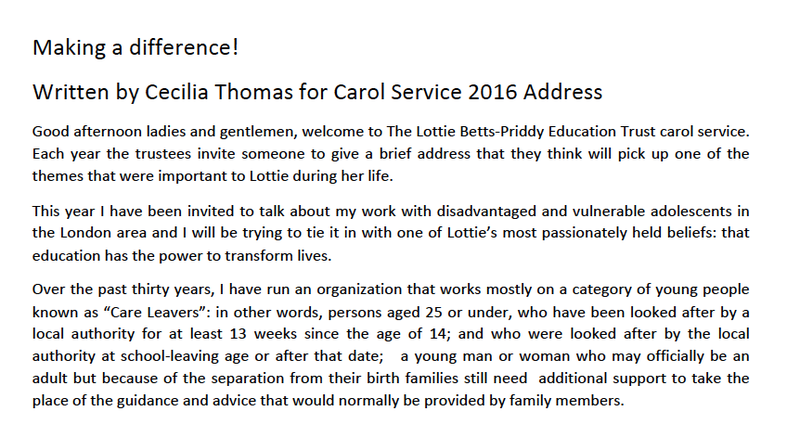 Cecilia Thomas’ moving address drew parallels between the work she and her colleagues have been doing among vulnerable young people in London and the impact of the Trust’s work with schools in Sierra Leone. The latest version of our newsletter was distributed at the event and hard and soft copies are still available. There was a lot to celebrate this year—two book shipments to the school in Hamilton and excellent results on the Primary School Leaving Examination. Members of the congregation gave generously and with the addition of donations from those who were not able to attend, we hope to surpass the £1000 we raised last year. Wishing everyone a merry Christmas and a happy and prosperous New Year!